They will be charged in absentia and declared wanted. 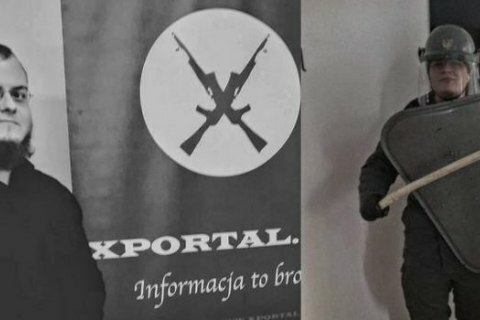 Employees of the Transcarpathian police region have established that two Polish nationals Adrian Marglewski from Krakow and Tomasz Rafal Szymkowiak from Bydgoszcz could be involved in the arson attack on the office of the Union of Transcarpathian Hungarians in Uzhhorod on 4 February. This is based on the resolution issued by the Uzhorod city district court of Transcarpathian Region on 15 February. The investigator in the case asked the court for permission to access information on a mobile phone number the Poles had used in Ukraine. Marglewski and Szymkowiak are linked with the Polish far-right organization Falanga. "It was established how the foreigners came to Transcarpathian Region (via the Uzhhorod checkpoint on the Slovak-Ukrainian border), where they checked in (a hostel in Uzhhorod's Tolstoy Street), what phones they used to coordinate their actions. The foreigners made two arson attempts. The first one was at 01.00 a.m. on 4 February, it was recorded on photo and video for reporting," ZIK quoted Transcarpathian regional state administration head Hennadiy Moskal. Since the first arson attempt seemed insignificant to the Poles, at 04.08 a.m. they made another attempt, having bought petrol in a plastic canister at a filling station. They left Ukraine through the same checkpoint on a morning bus. The foreigners will be charged in absentia and then declared wanted.